Located in Gated Nighthawk, an enclave of custom home sites, like no other, nestled on the north side of Black Mountain. 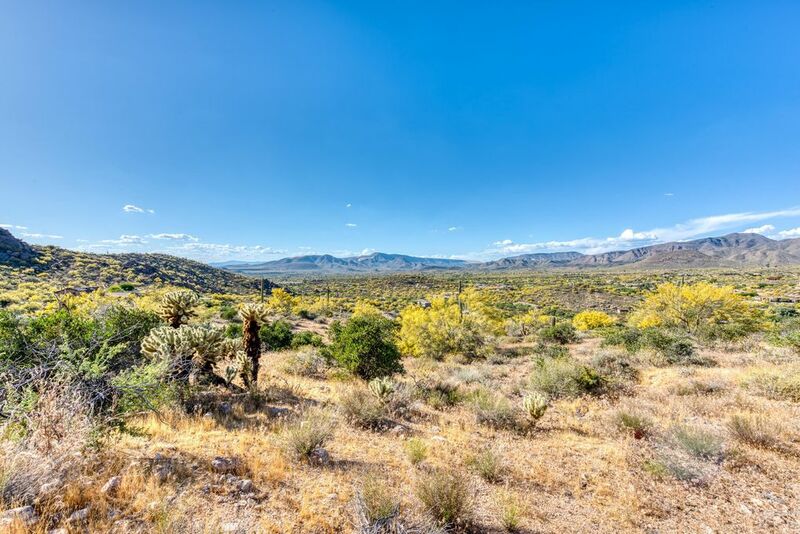 This spacious 2.64 acre home site offers views of Carefree. Privacy and a serene setting boasting beautiful desert vegetation. Plus, boulder outcroppings, views of Black mountain and the surrounding mountains. Nighthawk consists of 9 multi acre home sites meticulously planned by renowned architect and Carefree Resident, Gerry Jones. Every lot and Building envelope has been created with the terrain and adjacent lots in mind. Conveniently located within walking distance to area shopping and restaurants. The first Gerry Jones Design Home in Nighthawk is also available on lot 3. Directions: N Scottsdale past Carefree HWY, becomes Tom Darlington. West on Carefree/Nevermind past Hawksnest Entry. Street curves North, then /west to Nighhawk Entry. Lot is inside the gate.